Experts from various areas discuss the basic concept of Human Connection gGmbH during a meeting in Weilheim, Germany. The initial work is mostly focused on the development of the Clock of Change. The idea of creating a new kind of network is hatched. It is official – Human Connection is registered as a non-profit limited liability company (under German law). Implementing the Clock of Change requires a network to back it. With this realization the focus is shifting to the creation of the Human Connection network while simultaneously developing the Clock of Change. A corporate identity is established and trademark rights are secured. The idea of the network and its basic functions take shape. The team conducts interviews with potential users, including interest groups, and map out Human Connection as a social, knowledge, and action network – as comprehensible as an online news magazine with the importance on being fair, transparent, based on open-source codes, and free of advertising. Human Connection welcomes its first employees. A team assistant and a developer join the team that is growing in size and competence. Our idea is transformed into a modern design by Carina Beck at Herzog Kommunikation, a digital agency in Stuttgart, Germany. Students at the Inalco Institute of the Université Sorbonne in Paris, France, put their expectations of an “ideal social network” into words. They analyze strengths and weaknesses of the existing concept for Human Connection, and their findings are incorporated into the work done at the Hochschule der Medien, a state university of media studies in Stuttgart, Germany. First tests on the user interface (UI) and user experience (UX) are conducted using a test version, and click dummies are taking the development of the user interface into its final phase. Early volunteers and interns are now supporting translation, communication, development and research efforts of the Human Connection gGmbh. The team continues to grow. Web pages and descriptions go online in several languages to illustrate the idea and introduce it to the public . At the same time, the team is starting to test an alpha version of the platform. A front-end developer is on board to support the development of Human Connection. Human Connection is starting to make headlines: media coverage increases, followed by numerous interviews and presentations. Meanwhile, we adjust the strategy for the technical implementation: a new framework for an open-source development is set up and developed. 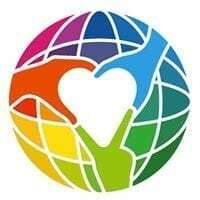 After hundreds of people had expressed interest in volunteering a volunteer-powered team of more than 60 people comes together to help Human Connection become a reality. Every week, five more volunteers on average join our mission. After months of working together online the core team and volunteers meet in Weilheim, Germany, for the first time. This is the beginning of a future powered by human connection. Human Connection starts a crowdfunding campaign in Germany with the goal to have the financial basis to be able to plan at least one year ahead. The German crowdfunding campaign ends in October 2017 with a total of 121,000 Euros raised. We start our “We Become 3000” campaign in Germany to attract at least 3,000 recurring sponsors who give monthly so that Human Connection can plan ahead for its launch. Become a monthly supporter now! Our international crowdfunding campaign ended in February 2018 with USD $26,104 raised. The Human Connection platform rethinks social networking and makes the source code accessible to the public. Everyone who supported our crowdfunding campaigns receives an invite to our closed alpha version of Human Connection and can test-drive the platform. Become one of 3,000 supporters now! The beta version is expected to go online in October 2018 – for everyone. Become one of 3000 sponsors now! Human Connection is running an international crowdfunding campaign on Indiegogo in order to reach an international audience and collect enough funds to grow the platform for our English speaking community. Everyone who supported our crowdfunding campaigns receives an invite to our closed alpha version of Human Connection and can test-drive the platform. Become one of 3,000 supporters now!